A top salesperson for more than 30 years, Ellen was born to be in sales and, with both parents working in the real estate industry, residential real estate was almost a given. Being a native Houstonian with a large circle of influence has been incredibly helpful for her. 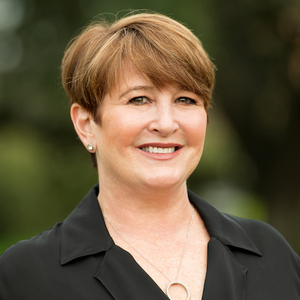 Ellen grew up in Meyerland and graduated from Bellaire High School. She is very knowledgeable about the city and personally invests in Houston real estate. She has owned homes in several different neighborhoods, including Garden Oaks, Southhampton, River Oaks, The Heights, and Bellaire where she lives now. For Ellen, being a real estate professional is exciting. “I can find common ground with just about anyone,” she notes, “which is important in establishing a level of trust with your clients." Ellen believes the client’s best interest always comes first and she works hard to develop trust and respect to ensure that her clients will want to work with her in the future. She is honest, sincere, dependable and detail oriented with great follow-through. Prior to her career in home sales, Ellen was a top salesperson in retail clothing. She was a co-founder of Girl World Sports in 1996 and took that company to more than $2 million in sales within its first two years, generating write-ups from the Houston Business Journal and the Entrepreneur magazine. Ellen is a human rights advocate who volunteers and serves on leadership councils for several organizations that support equality and respect for all individuals. She attended the University of Southern California at Los Angeles, The University of Texas at Austin, and graduated from the University of Houston Main Campus with a bachelor’s degree in psychology. Leisure time for Ellen is spent with her family and traveling. “We have used Ellen for both buying and selling representation; it's easy to see her experience level in negotiating for her clients in both areas, as she makes it go as quickly and smoothly as possible with great service from start to finish. If you want someone that is focused on every detail and makes you feel like you're the only client she is working with, you found your realtor in Ellen Krantz. We contacted her randomly through a routine realtor ad placement upon moving to Texas, and were literally blown away by the experience we had. She's our permanent Realtor in Houston.“ - Brian D.
“I hired Ellen to sell my house, and it was so successful (six full bids the first day, that then required a lot of communication between competing bidders)... That we started looking together for me to buy, which we found really quickly with my very specific needs in mind. She was endlessly patient, and hard working.... never late, and an excellent advisor on negotiating. Use her! “ - Todd W.
“Ellen Krantz is one of the most knowledgeable agents in Houston. She grew up in Houston which also makes her an expert as far as neighborhoods and schools are concerned. She has an incredible talent of listening to the client, and instantly understands their needs. She has an impeccable style and grace, her brilliance of the real estate market is remarkable. “ - D.P. This is a magnificent French Contemporary home that has been immaculately maintained. The floor plan is open and light-filled. The home boasts stunning white oak hardwood floors throughout. Every fireplace in the home has been imported from France, along with the stone for the baths, sink in the powder room, and the stone for the dining room walls. The interior wood front doors were custom made from reclaimed wood and the exterior metal and glass front door was imported from London. The formals are very generous in size, and the home has great flow. The living space is down, with bedrooms on the second floor and a large flex room on the third floor. The home is stunningly beautiful in every sense of the word and has top of the line finishes throughout. The interior walls are primarily Venetian plaster and the exterior of the home boasts LaHabra stucco, a slate roof and copper gutters. The home also offers both air and water filtration systems, a Savant system, a Sonos system, Total connect and IVMS-4500. There are security cameras throughout the entire property with a sophisticated alarm system and ability for full automation. There are too many features to mention. This home is a must see.